Fall is in the air and that makes me think of the kids that come to our house selling popcorn or giftwrap–all for a good cause. 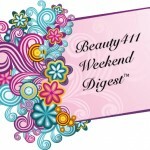 Today’s Beauty411 Weekend Digest highlights an excellent new initiative from Pantene and other beauty news you don’t want to miss. If you’re artistic, you need to know about the Talika Cosmetics online contest, “I Care for Talika”. It’s running now til Nov. 4th and the winner will design the packaging of the next Talika gift set and will also win a trip to Paris! For full details and to enter, to to the Talika Cosmetics Facebook page. It’s Friends & Family time at Land’s End! Running through Monday, take 25% off regularly-priced items and get free shipping when you use Promo code: LESHARE and Pin: 3171. Cashmere sweaters, anyone? Pantene Pro-V is launching, Healthy Hair for Healthy Water (HHHW), a global program to support the Proctor & Gamble Children’s Safe Drinking Water Program. The campaign will deliver clean, purified drinking water to needy areas via low-cost PUR packets, one of which quickly turns 10 liters of dirty, potentially deadly water into clean, drinkable water. You can make a difference now by purchasing your Pantene products from the P&G eStore at http://www.pgestore.com/Pantene/pantene,default,sc.html. For each bottle purchased from the eStore through February 28, 2011, Pantene will donate 10 cents to CSDW, which is the cost of providing one week’s worth of clean drinking water (10 liters) for a child in the developing world. 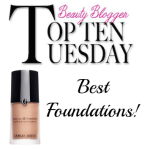 Are you a Bare Escentuals makeup fan? If you are, you’ll want to catch Leslie Blodgett and the National Artistry Team on the Big Buffing Road Trip! You won’t want to miss out on meeting Leslie (or even taking part in a Master Class) at one of six stops that she’ll be making, including the grand finale at Bloomingdales in NYC. Get all the details on the Big Buffing Road Trip on the Bare Escentuals Facebook page. Sounds like fun! I have to send out some love to the great gals at ChickAdvisor for profiling me in their blogger series! Check out some of my favorites, from who my fashion icons are to some of my essential makeup products (ChickAdvisor Popular Blogger Nancy from Beauty411). Are you a fan of online sample sales? And handbags? If you are, then you definitely need to stop by the Rebecca Minkoff Sample Sale at Swirl.com on Monday, 9/27. Swirl comes to us from the stylemakers at DailyCandy, one of my favorite daily newsletters. Save up to 49% off some of Rebecca Minkoff’s most popular designs–plus a few exclusives. First you need the invite–get the hookup here! 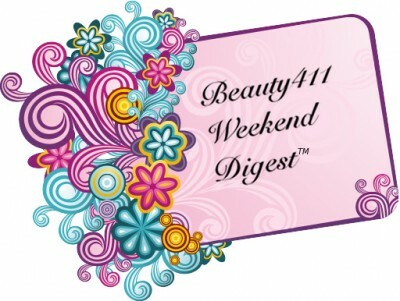 Enjoy your weekend and see you back at Beauty411 on Monday! Thanks for the love Nancy! Way too much fun working with you, and we’re ecstatic you liked the profile!